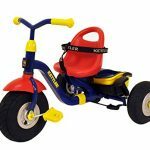 Meet the Kettler Happy Air Navigator Fly, introducing a convertible tricycle from Kettler with push handle for steering and toddler stroll. Built with a 5 position Quik-Adjust frame with easy step through S-frame, 4 position adjustable ergonomic high back seat with hand hold, and a 3-point seat belt included. The difference is in the tires, AIR tires provide superior traction for sandy, grassy, or gravel surfaces. 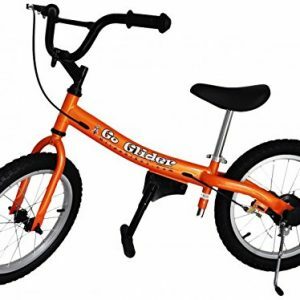 The quality tires have a patented 3-in-1 auto-freewheel for safe pedaling and braking. 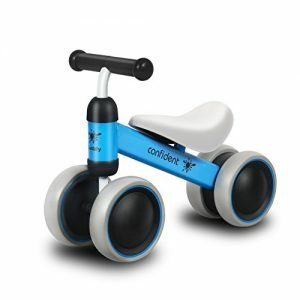 It has pneumatic Komfy-Ride tubeless air tires on sealed ball bearings. 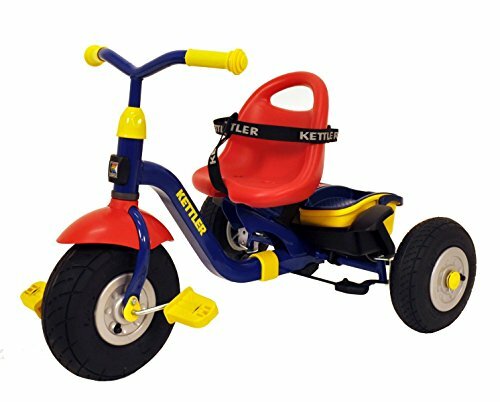 From stroller to trikes, Kettler makes navigation easy for small children. Our navigation system unlocks rear wheels for steering and features a patented limited turn radius steering device and low center of gravity helps prevent tipping. 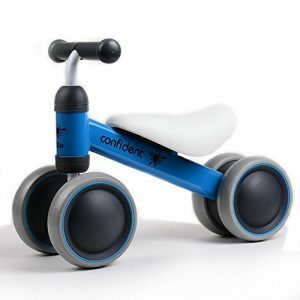 The Kettler Navigator tricycle offers a smooth transition from stroller to trike. 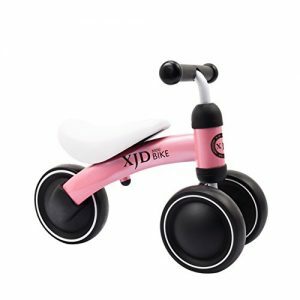 The parental control steering lock and rear-wheel navigation allows parents full control of the steering until the child is old enough to ride on their own. 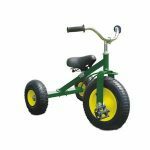 The trike has an easy step through quick-adjust frame to easily accommodate different size children. 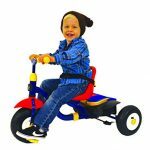 It includes a safety seat belt, parent push-bar with wide grip for both hands and a utility net for keys and small objects. It has a unique rear bucket. 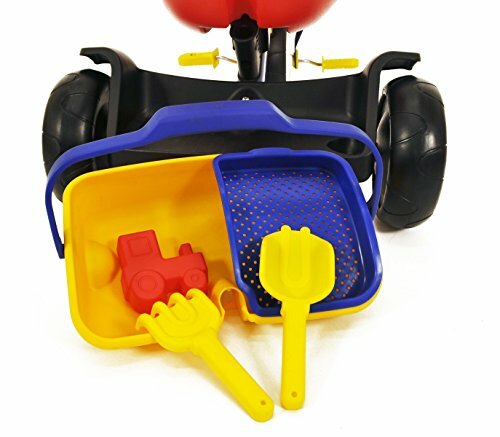 The bucket is on wheels so the top of the push-bar pole can be attached so the child can pull the bucket and wheel it around. Going to the beach, no need to bring sand toys. The bucket includes a sand sifter, rake, shovel and sand mold. 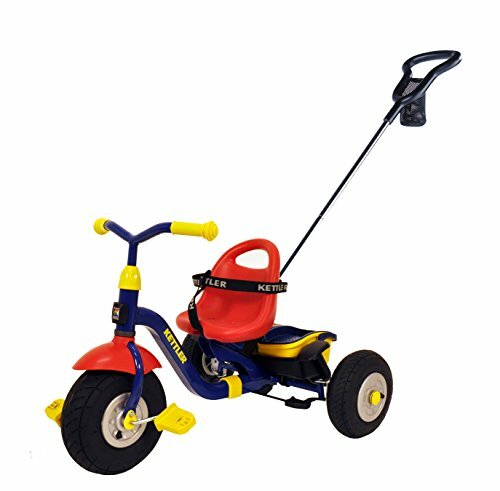 Kettler trikes put every parent at ease with a patented parental control steering lock. 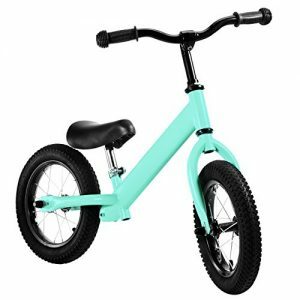 It allows parents to lock the front wheel in a straight position to prevent accidents. 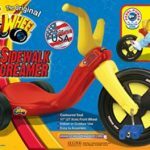 Included is a chrome plated push bar that allows parents to fully control steering with toddlers who need extra guidance. 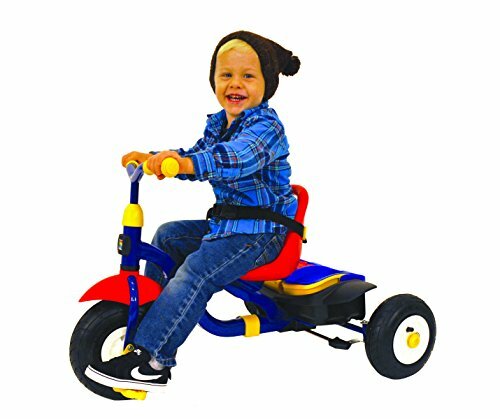 This bike is a must for busy toddlers, providing hours of entertainment for you and your child. 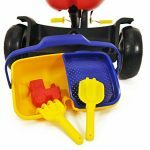 It features a rear step plate with a removable sand bucket that comes with a rake, shovel, sifter and sand mold.